Even one small spelling or grammar mistake is hugely magnified when you send it to thousands of people. This Zapier integration creates a proofreader that will automatically notify you about spelling and grammar errors in your campaigns before you hit send. All you have to do is use the template below! 2. 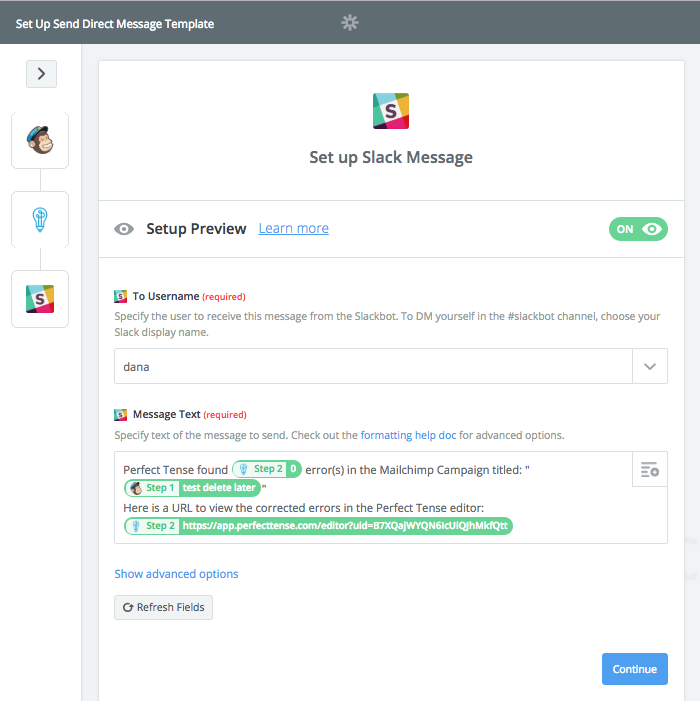 Follow the template below to get Slack notifications about errors in your MailChimp campaigns. Clicking “Use this Zap” will bring you to a page that explains the integration and necessary apps. To get started, click “Create this Zap”. 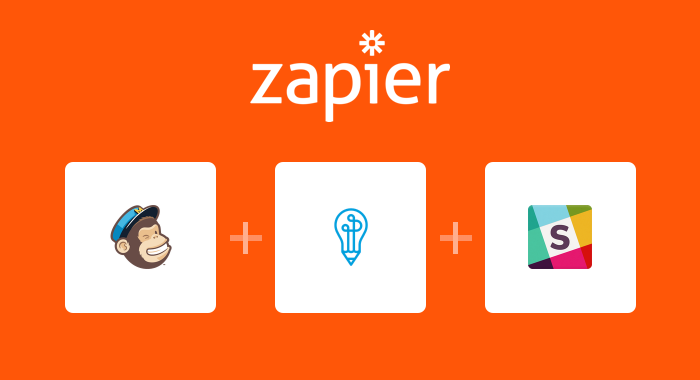 The Zapier template will guide you through setting up the integration by pre-mapping most of the steps for you. This tutorial will help you fill in the rest of the blanks. First, you will need to connect your MailChimp account to Zapier. Next, you need to make sure that you are checking campaigns drafts (Status: saved) so that Perfect Tense can send you notifications before the emails are sent. 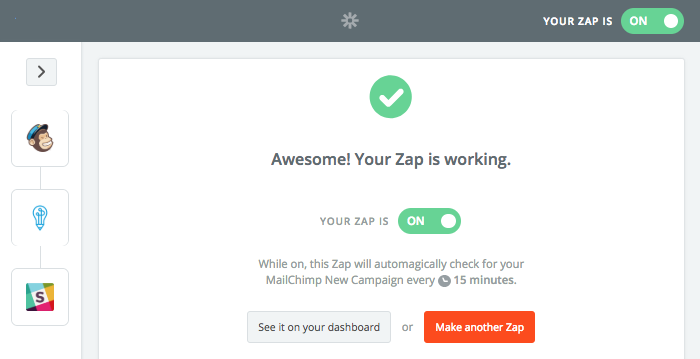 Zapier will then run a test on the MailChimp account you connected to make sure everything is working properly before you can move to the next step. 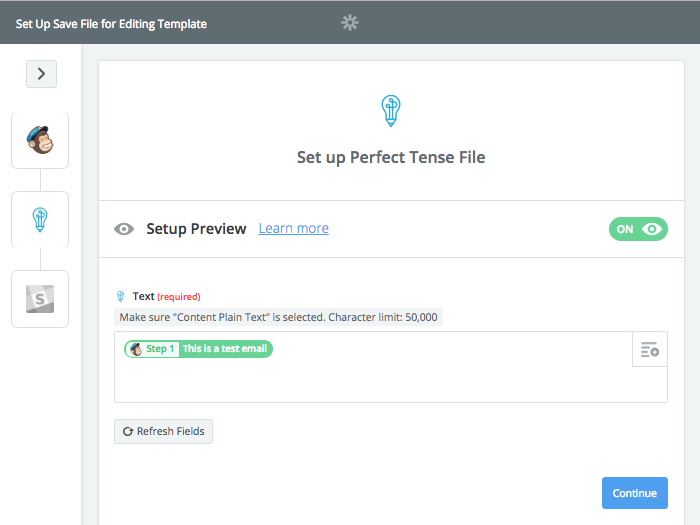 The Perfect Tense action (Save File for Editing) will be preselected for you; all you need to do is connect your Perfect Tense account to Zapier. Once you have connected your Perfect Tense account, Zapier should have the content section pre-filled as shown below. This will send the plaintext content in your campaigns to Perfect Tense for proofreading. Zapier will send a sample correction to Perfect Tense to make sure everything is functioning so far. Once this test is complete, you are ready to set up the final step. 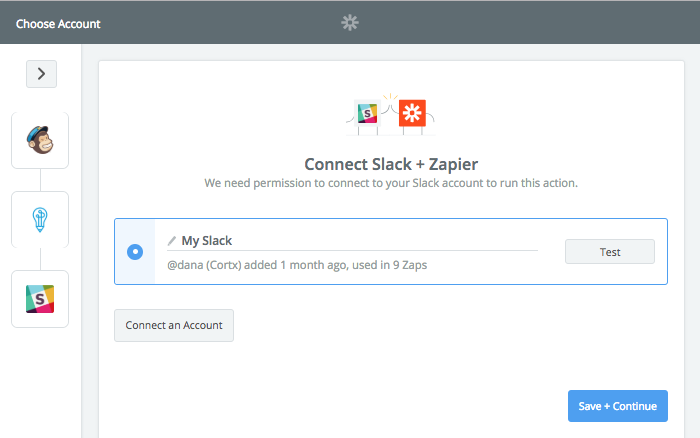 The action step to send a Slack notification will be preselected; all you need to do is connect your Slack account. Once you have connected your Slack to Zapier, all you need to do is select the name of the person who should get the notifications. The notification should be pre-filled for you. The URL that is included links to your Perfect Tense account and when clicked, will show your content in the Perfect Tense editor. Here, you can see all errors and their proposed corrections. 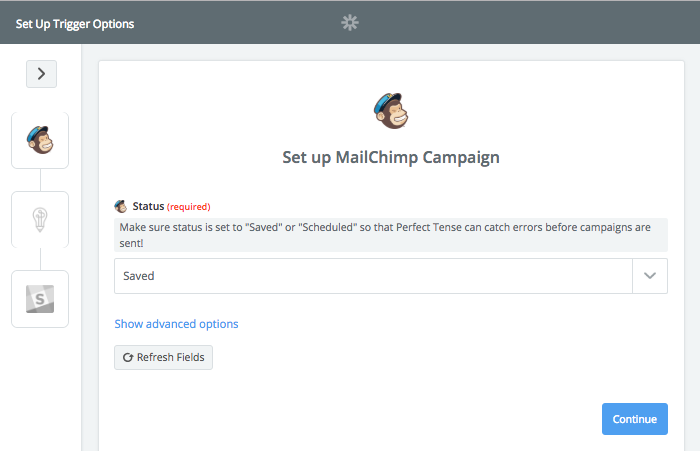 That's how easy it is to prevent yourself from sending a spelling or grammar mistake in your MailChimp campaigns!